Review: Archos 55 Platinum – How much smartphone can you get for £79? One of the best parts about being a technology fan is the fact that as time goes on, technology tends to get cheaper and cheaper. You can buy today for a hundred which was selling a few years ago for 5 times the price. However, as our ‘normal’ hardware gets better, so do our standards. 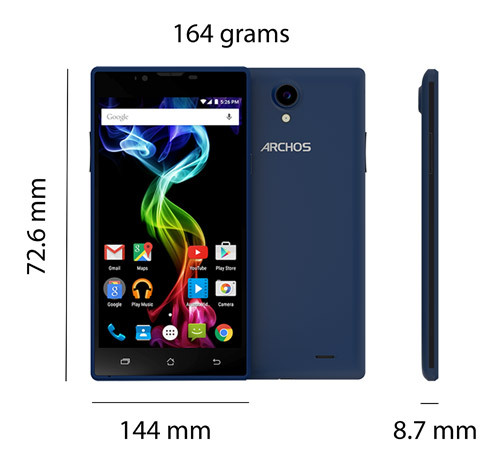 A lot of companies are beginning to offer amazing budget options, but none so like Archos. With their Archos 55 Platinum, you can get a whole smartphone for under £80! In our review, we explore how well it works, and if it is worth your hard earned cash. RAM, most mediocre phones ship with at least 2GB, and flagships give you 3 or 4. Internal Storage – 8GB, is just not enough. What do you still get? The phone, for a phone of this size, feels surprisingly light. Some may find the build to be a bit plasticy, but at this kind of weight, it really isn’t worth complaining about. Yeah, there is a distinct lack of premium materials, but for this amount, this phone looks and feels rather good. Before I move on, I must tell you that in the couple of weeks I have had this to play with, I have already had a system update. We are still on Android 5.1, but it is good to know that Archos are still pushing updates to their consumers. But what about the nitty gritty performance? Well, for the specs you have in this phone, it would be unfair to expect anything amazing. However, if your main focus is social media, browsing and checking emails (apart from the occasional phone call and text), then you don’t really need to worry much. This phone ticks those boxes perfectly well. Where it does lack is giving you the little bit extra. The camera is a bit ordinary, the speaker a bit tinny, and it comes with a bit of bloatware as well, i.e. a few games from GameLoft. Overall though, with its dual SIM capabilities and 3G connectivity, this is a pretty good phone, and will work as a great device as a spare or second phone, or something to keep with you while you travel. It is available for £79.99 via their website, or through various online retailers such as Amazon. At a price tag of under £80, I feel a bit bad being fussy. I think the Archos 55 Platinum is a great effort in giving you a 100% smartphone at a fraction of the price. Not a bad phone but tech support useless (all they tell you to do whatever the problem is reset to factory settings – even a faulty battery!!) When you phone (France) they say there is nothing they can do nor do they supply parts. “Send it to us and we will look at it and return it to and it will take 3 weeks !”. So I am stuck with a battery that has to be charged at least twice a day ‘on standby’. SO 4 out of 10 RJV. while the other is being used ? 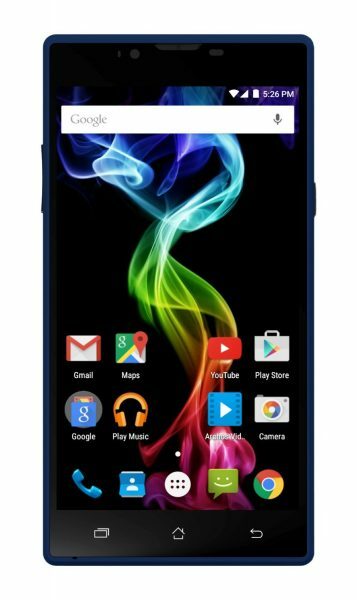 I want to ask a q about Archos android phones…. When you want to delete a message on WhatsApp., what is the procedure please? And is it a 2-step procedure on all of yr androids, or are there models that can delete a message in one procedure? I would be grateful for a reply soonest. Hi Carole, I don’t use one at the moment but generally it is exactly how Android phones work so I doubt it will be any different.